Follow Sunny's lead to the islands with warmly spiced wings, a salad bursting with fresh flavors and a cool, refreshing drink. Take your mid-week vacation tonight -- yeah, mon! 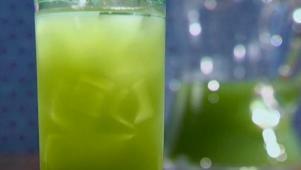 Sunny whips up a refreshing blend of cucumbers and simple syrup. 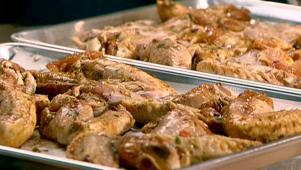 Sunny gives chicken wings a generous amount of Caribbean heat and spice. 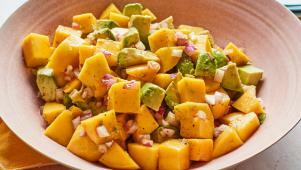 Sunny's Mango and Avocado Salad is bursting with fresh tropical flavors.